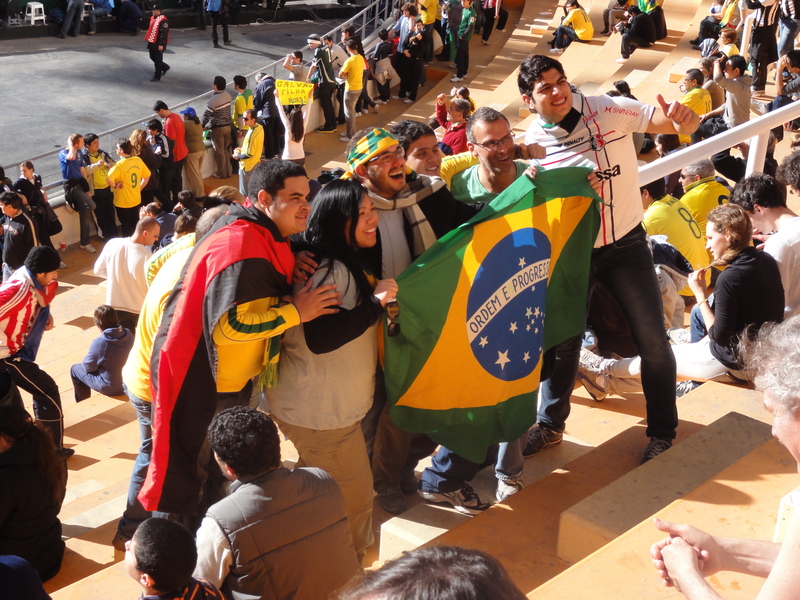 Whether it’s for the Copa America or any random match, South America is the place to watch “football.” Even last year, the pub atmosphere during the World Cup was tough to beat and we were in Bolivia. The difference? A failed attempt at a goal in the States yields a few cringes or sighs whereas here, people shout and slam glasses. I guess it’s similar to American football at a sports bar. 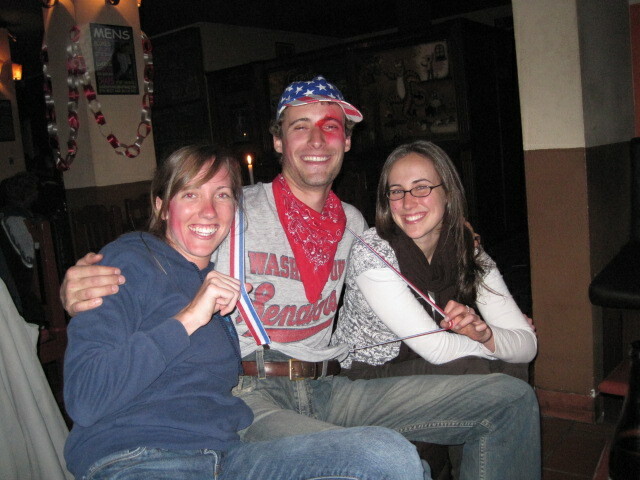 World Cup in La Paz, 2010 - showing US spirit! I feel very lucky to be in Argentina right now, as it’s hosting the Copa America. Basically, the countries put together all-star teams to compete, and the games are played in various cities throughout Argentina. 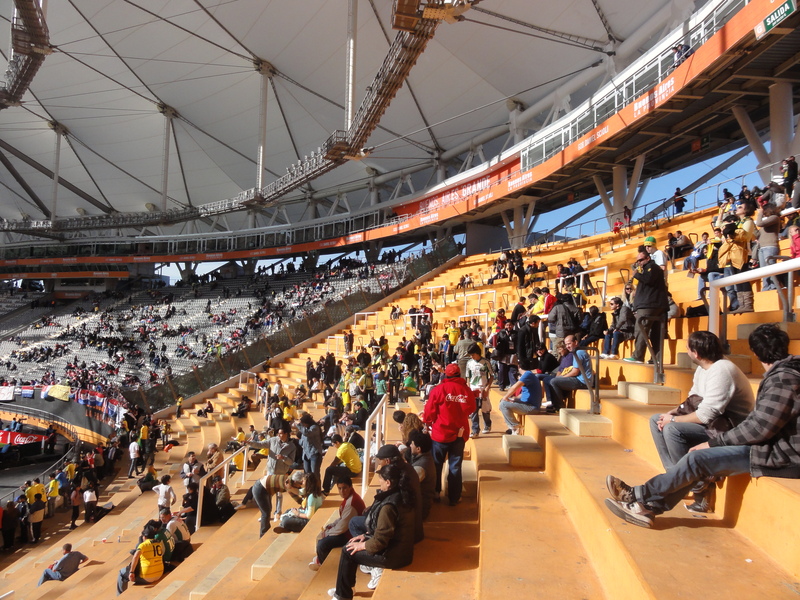 It wasn’t super expensive, so I bought a ticket through Landingpadba and attended my first real sporting event – besides hockey: Brazil v. Paraguay. 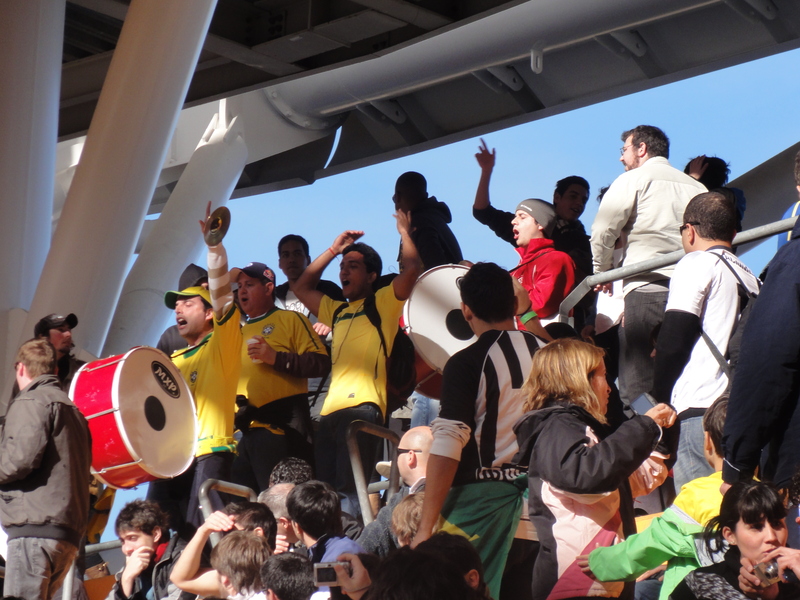 At first it seemed that no one spoke English, what else is new?, but as we walked into the stadium I met two British guys and an Australian guy who knew a hell of a lot more about football than I did. 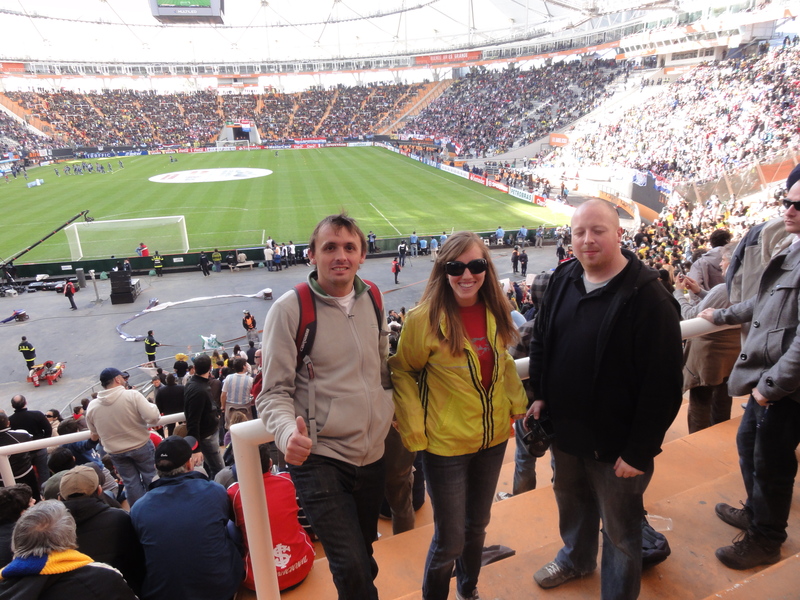 My new British friends, John and Sam, have been traveling around Argentina for the past week or so, attending as many of the Copa America tournaments as possible. John told me that at one game, they had to arrive four hours early – and the stadium was already full even then. 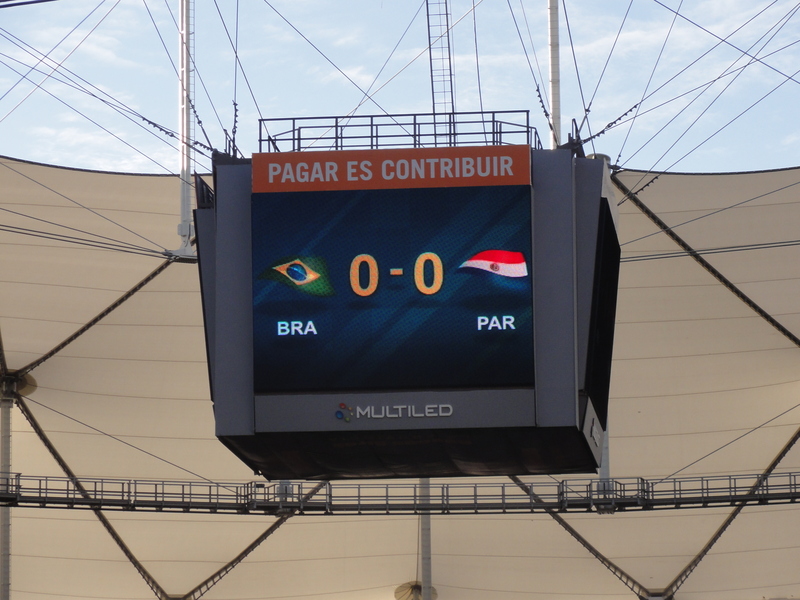 We scored prime seating, smack in the middle of a slew of Brazilian fans and half a stadium full of Paraguay fans. 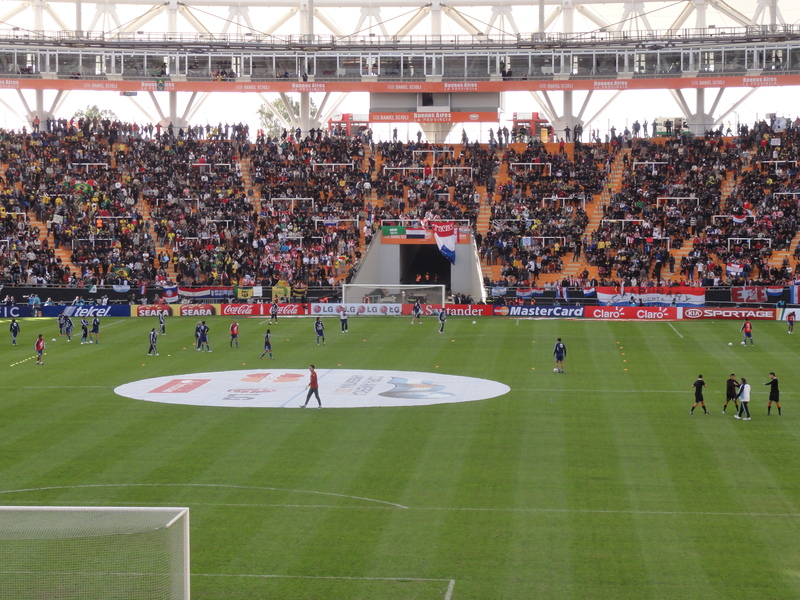 Both team’s goalies warmed up for a while, and then Paraguay’s team arrived in entirety to practice before the game. brazil doesn't need to warm up, because they always win, right? I didn’t realize how cold it would be in La Plata, but luckily our guide gave me a sweater and some kind of windbreaker. The color combination was hideous, but I was warm, and it appeared that I might be rooting for Brazil, which was fine with me. copa america mascot...most people are embarrassed by it. 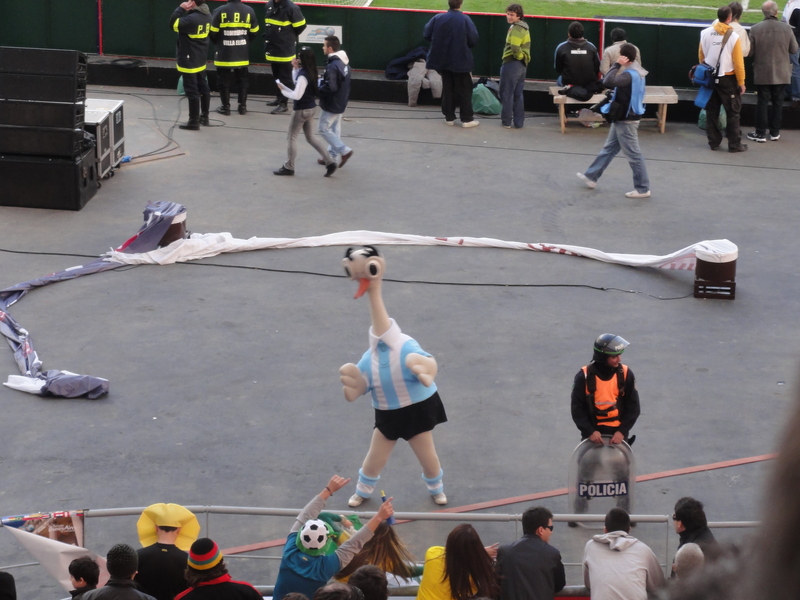 The mascot, a large flightless bird with some serious eyebrows, appeared every once in a while to sway pointlessly back and forth with the crowd. Once the game kicked off, the bird was not needed; the energy among fans was insane. Unlike the previous night’s game (Argentina v. Uruguay, which was a close match right up through the penalty kicks), Brazil v. Paraguay was a lot of running and passing and taking horrible shots that either bounced off the goal post or cleared the net by a few yards, sailing into the crowd. 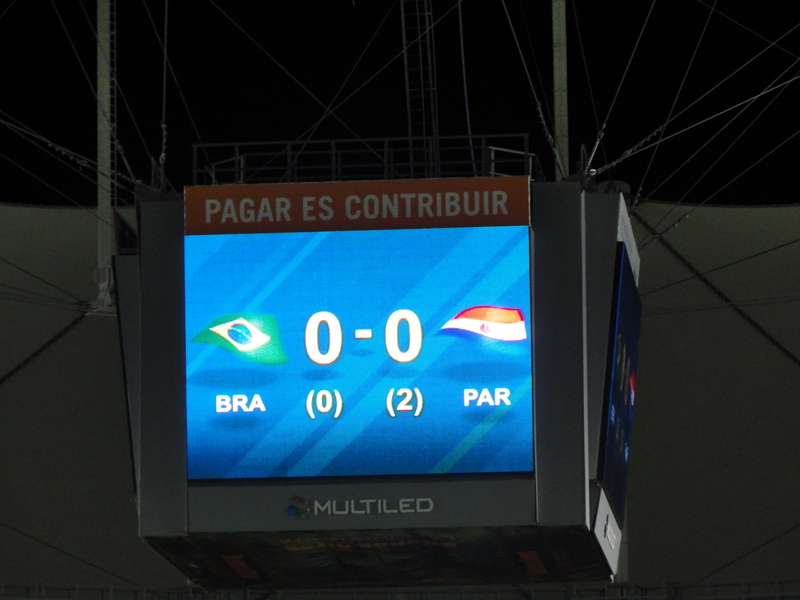 The game went into penalty shots, where Brazil basically repeated their tactics from the rest of the game: poorly aimed shots that sailed clear over the net. Paraguay, on the other hand, nailed two of their shots for the win. As we walked back to the van among throngs of ecstatic Paraguay supporters, I couldn’t help but feel a little disappointed at the anticlimactic nature of the game. 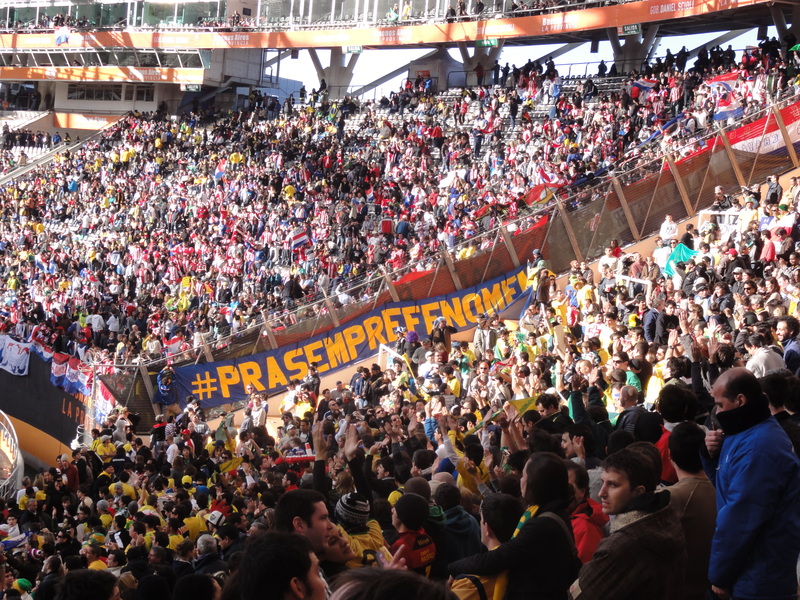 Then, a man in a Paraguay jersey passed me, smiling, saying something in Spanish and tugging at his jersey. I smiled back, thinking what a happy time it had been, nevertheless. Either way, I enjoyed myself. We all went back to a pub downtown for a free beer, which turned into more than one, and watched Venezuela beat Chile on a big screen.